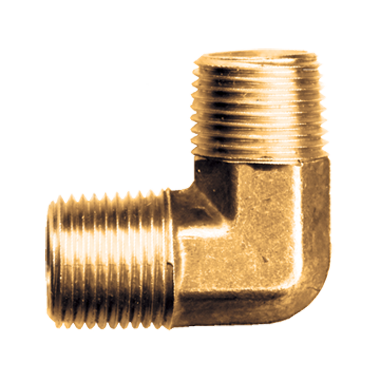 Brass M-NPT x M-NPT forged male elbow fitting for use with brass, steel, and iron pipe. For use with LP-Gas vapor and liquid. 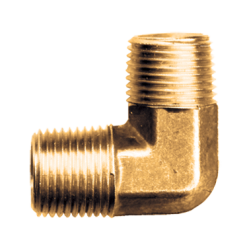 Pipe threads must be sealed using approved thread sealant.